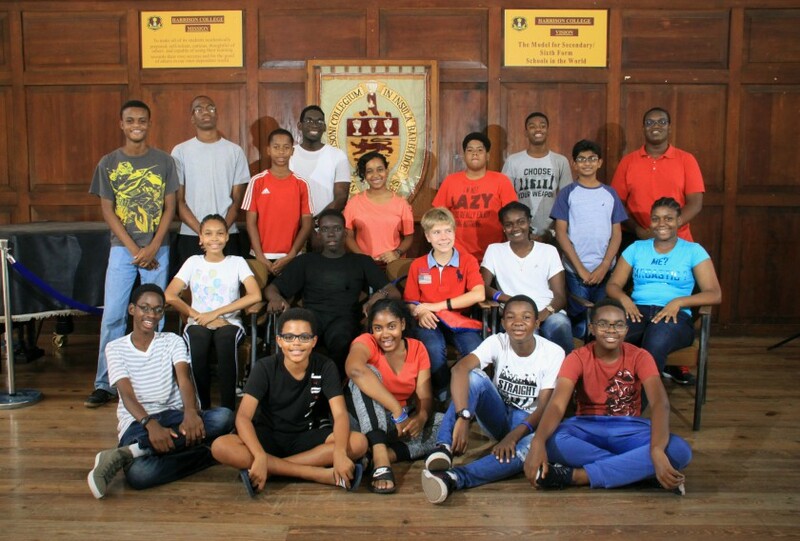 The start of the new school term for St. George Secondary students will be delayed by a week. The school is undergoing upgrades which include new bathrooms, new ceilings for the first time in the history of the school, a new paint job and three new emergency potable water tanks. The tanks are to ensure the school is not closed as a result of a water outages. Some of the bathrooms, which were less than ideal with broken toilets, peeling paint on the roofs and walls and rotting doors have been completely renovated with new tiles, doors, sanitary ware and even showers. Problems with guttering and water leakage in classrooms when it rains have also been rectified during the refurbishment. 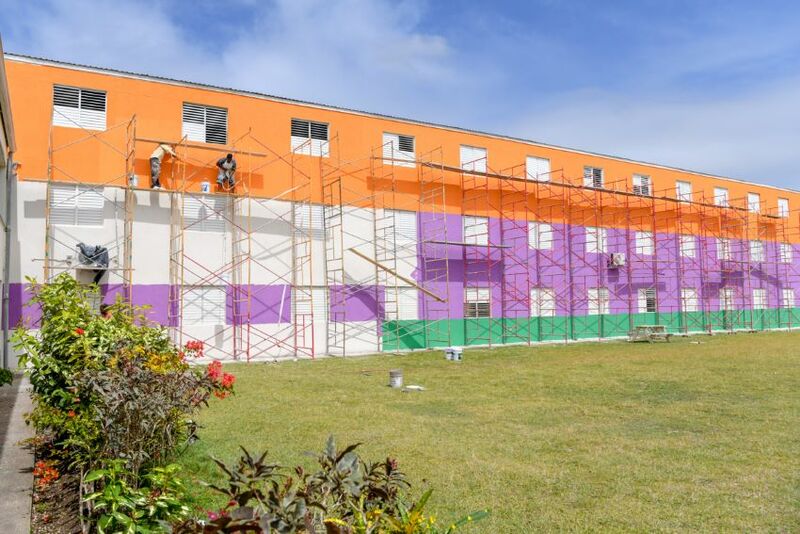 The main classroom block has been replastered, waterproofed and repainted with the school colours incorporated into the colour scheme. The cafeteria is also being refurbished. Additionally, the sections of the external fence and back gate of the school, which were previously compromised, have been repaired. 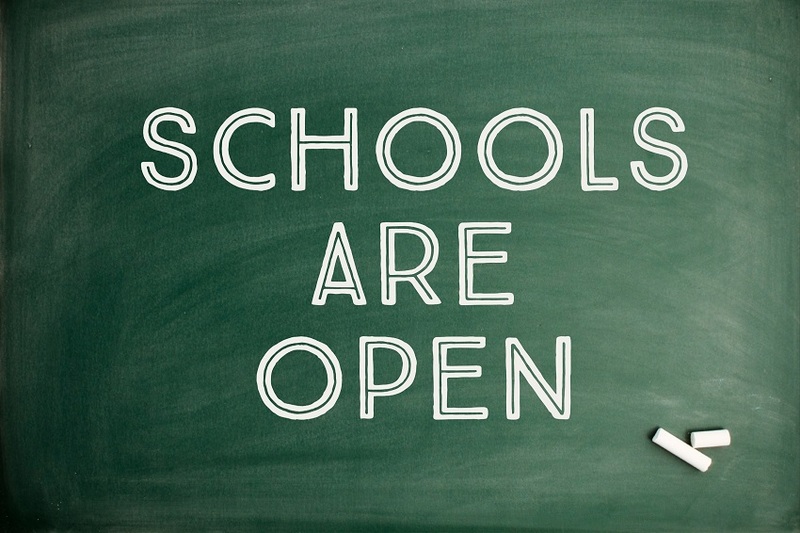 All of the electrical issues affecting the school were resolved. The gutters, handrails and roof sheeting were repaired and replaced where necessary. 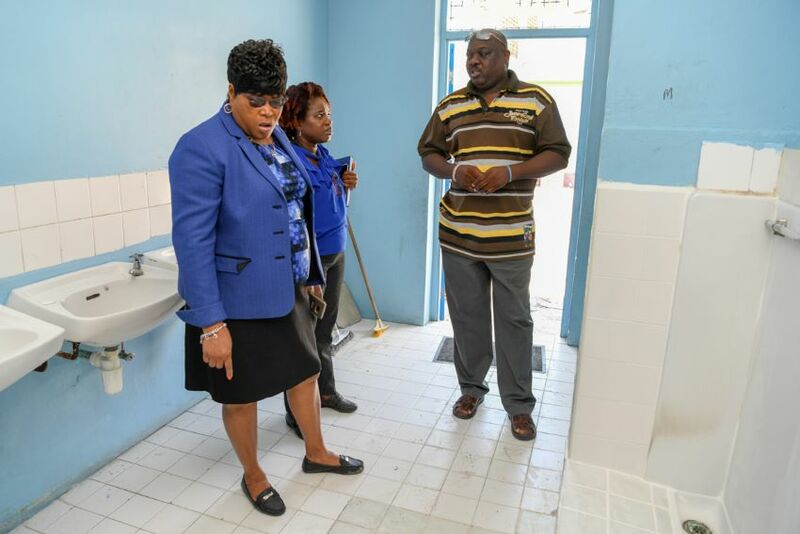 Minister of Education, Technological and Vocational Training, Santia Bradshaw, said the work at the St. George Secondary School would continue over time. She added, due to the extent of the repairs which needed to be carried out at some of the schools, the upgrades could not be done overnight. Bradshaw noted the summer vacation did not always allow for all of the work to be completed. The Education Minister explained that the ministry was trying to do the best it could with what little resources it had at its disposal, but what was important was that it had made a start in upgrading school plants. She implored students to respect the new facilities, and recognize “we are trying to make the environment conducive to learning”.